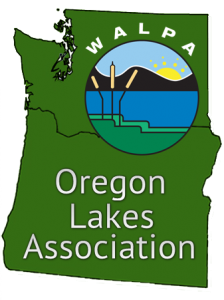 Oregon Lakes Association (OLA) and the Washington State Lake Protection Association (WALPA) 2013 Joint Conference. Join us at the Hilton Vancouver, Washington. Conference registration covers all days and all workshops, sessions and field trips. Workshops and sessions are first come first serve. Meals & food services included are Wednesday's coffee breaks, Thursdays Continental Breakfast, Lunch & Coffee Breaks, and Friday's Coffee Breaks. Cancellation Policy: Registrations are fully refundable through September 30, 2013 minus a $10 or 3% processing fee whichever is greater. Refunds will not be available after this date.